Simply beautiful homewares drawn from nature, creating a harmonious fusion between the unspoiled beauty of raw materials and the understated clarity of contemporary design. 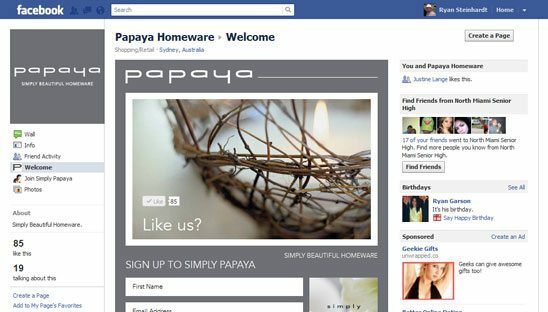 We based this design off the branding of Papaya’s website. A cool feature on this page is the send to friend form. Other features include: email sign up form, custom slideshow and locations section.